Graven Hill is a site located just outside of the Oxfordshire town of Bicester. It covers 188 hectares and is currently the largest opportunity for people wanting to build their own home in the UK. Plots are being released over time to self-builders and will be for properties of varying sizes and designs. The Graven Hill development includes extensive open space including woodland, allotments, cycle and footpaths. Amenities will be built such as schools, shops as well as a local pub. 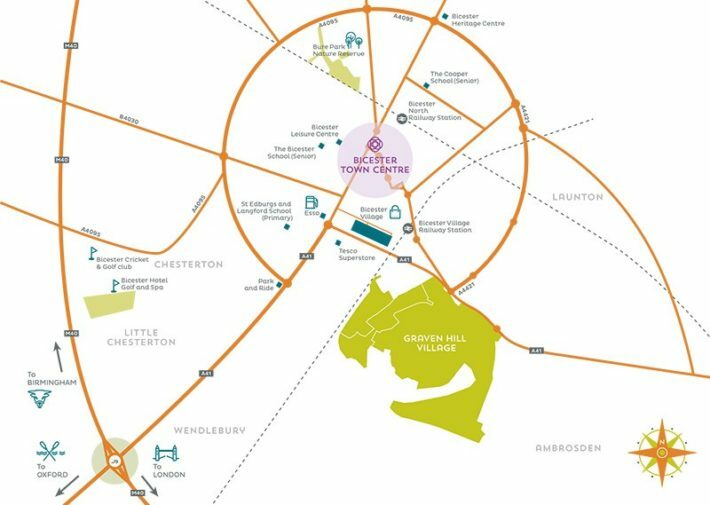 The area is well connected to the road and rail network, and is a commutable distance to London being only an hour away by train. What’s available at Graven Hill? The Graven Hill development site is ideal for self-builders looking for a plot to build their dream home. There are various opportunities available, with the ‘Golden Brick’ package perfect for those seeking a simple way to design and build their own home. This option provides the plot plus foundations, allowing construction to begin as soon as contracts are exchanged on the space. The below ground works are completed with drainage, substructure walls, ground floor slab and utility connections already in place ready for the client’s own individual home design. Scandia-Hus design and build bespoke kit properties. Our in-house architectural design team work with our customers to create their dream home, and our Sussex factory manufacture and build the timber frame. Clients can then choose to complete the construction themselves or project manage the required trades. 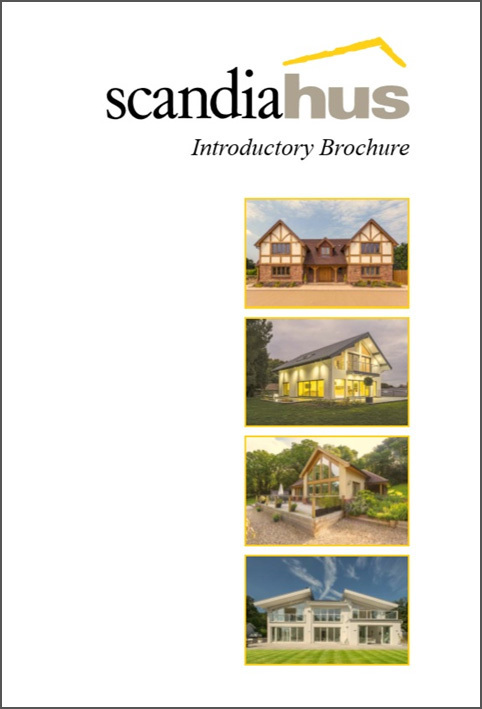 Scandia’s knowledgeable team are on hand to assist and guide self builders through the process, helping wherever they can to ensure the realisation of the customer’s design. Scandia-Hus is ideally suited to those buying a Golden Brick plot at Graven Hill. Our timber frames are manufactured off site in our Sussex factory, which means production of the customer’s house can begin in advance of the groundworks being finished. Once the purchase is complete, the process can move along swiftly. The bespoke timber frame is delivered to site and erected onto the ground floor slab. The watertight shell can be finished in 2 – 4 weeks, and it is a short journey from here to moving in. 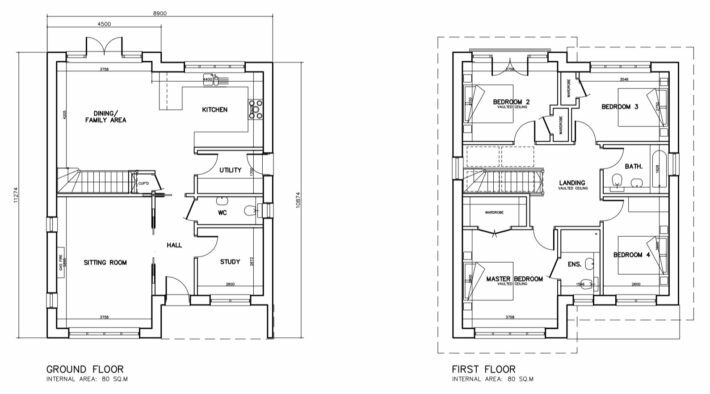 For those wanting a quicker and cheaper route than completely bespoke, we can offer the above house design. The drawings have already been completed and it has previously received planning permission at the Graven Hill site, so the process should move swiftly. 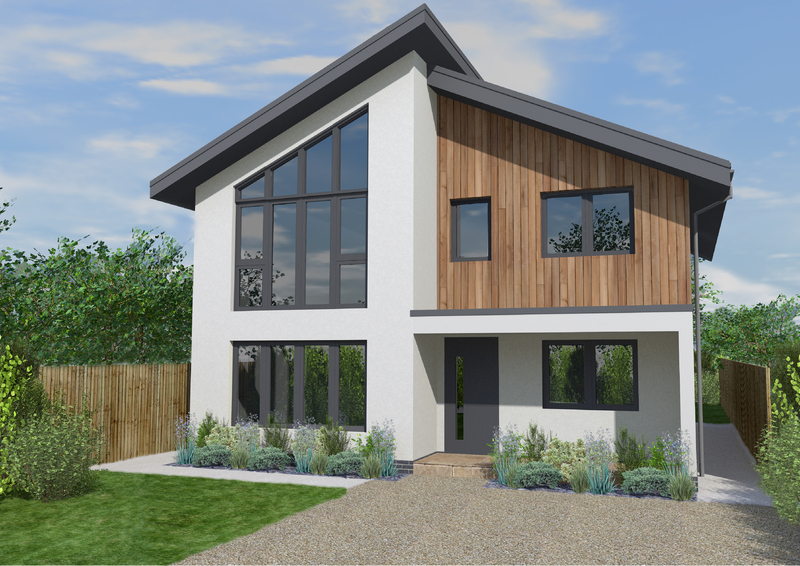 The contemporary design incorporates finishes that are popular with many self-builders; white render with timber cladding and grey window frames. The accommodation provides an open plan kitchen / dining area, as well as a separate sitting room. There’s plenty of space for a family with a study, WC and utility downstairs, and four bedrooms (master en-suite) and bathroom on the first floor.